Let’s face it: Kiddies love their sweet snacks and there’s nothing to get upset about. After all, anything in moderation can’t do much harm, right? But regardless of quantities be it one or two sweets oral hygiene is extremely important. That’s why you as a parent must ensure an effective and consistent oral care routine is practised. But why is oral care so important? Good oral hygiene is crucial from the time your child’s first tooth appears. Sure, they’ll fall out after a couple of years but that doesn’t mean kids should get away with snacking on sweets daily. It’s important your child has a healthy mouth for when the permanent teeth arrive. This will eliminate problems associated with poor oral health care including tooth decay or gum disease. Since we’re dealing with kids, incorporating fun elements will make the process something both of you can look forward to. And it’ll yield the desired results. Here’s one quick way to get them interested: simply do it together. Instead of sending them off after dinner to brush their teeth why not join them? Apart from monitoring if they’re doing a proper job it’s a great opportunity to bond. We all know how parents are their kids’ role models. Your son or daughter like imitating you every chance they get. So what better way to instil this good habit than by allowing him or her to watch you do it? Ditch the monotonous brushing routine your child will dread. How about you spice things up a bit? How about humming or singing a kid’s favourite tune? Alternatively, you can download a catchy & educational song onto your phone about brushing teeth. Playing it as you imitate the motions is a fun way to keep things interesting. You can also create a brushing chart. This way he or she can tick off or colour in after brushing or flossing. Not only is it a fun way to keep your little one engaged but not a day will be skipped. Why not take your child to the store and let him or her pick their favourite toothbrush? Sure, parents always know what’s best for their kids but this might just work to your advantage. Picking one with their favourite colour or cartoon character means they’ll automatically like their new toothbrush. As a result, he or she will look forward to using it when it’s time to brush. No more effort getting them to the bathroom. Reducing the amount of sweet foods intake will also benefit your little one in the long run. Sure, you can’t eliminate them entirely but you can simply limit the number of biscuits they have in a day. You could try giving them healthier alternatives for instance fruits or crackers. Increasing their dairy intake will also help reduce the risk of tooth decay. This is because dairy products act as buffers to the acids which corrode teeth. It’s advisable to take them to the dentist regularly ideally once every six months. Being proactive and having these routine check-ups will ensure the doctor picks up quickly on any problems before they become critical. Also, developing this culture in your child from a young age isn’t only beneficial to the mouth but it’s a habit he or she will keep into adulthood. It’s a fact: Oral hygiene cannot be overemphasized. And it’s your responsibility as a parent that your child also recognizes its importance. Children have very inquisitive minds. 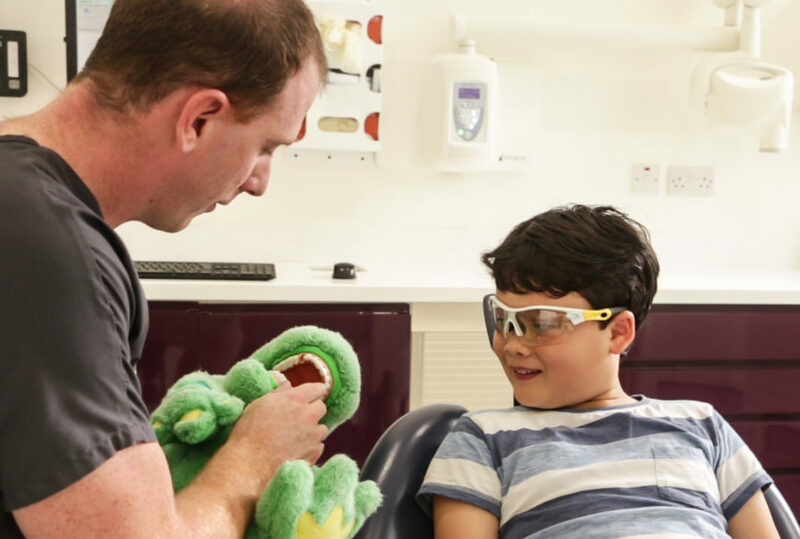 Why not feed their curious nature by giving them information on oral hygiene? Teach them about the importance and dangers associated with not brushing or flossing their teeth. It may just motivate a new habit effortlessly. Also as their primary caregiver, always remind them to brush after every meal and before going to bed. The power is in your hands for now.